Even I had decided to go international for all themes, I couldn’t miss out doing this post. In recent times, this pickle that Amma makes has become quite the rage and she has been making it regularly. I thought a Mega BM featuring condiments will be the apt time to share this pickle. A condiment as I said, can be a dip, a relish, a pickle – anything that enhances the tasting experience and served as part of a meal as well. So for today, I have a pickle that not only enhances a meal, it takes you to the next level as well. I eat this with dosa, Chapati, along with dal and curd rice or even sometimes as just mixed with rice and eaten as well. Its lip smacking delicious when you mix with hot steamed rice and a little of ghee. You can skip all other dishes in lieu of this combination! Andhra is famous for its Pickles and one can never tire of tasting all of them. While most pickles have longer shelf life even on the counter, today’s pickle will stay good for a longer time, only when refrigerated. By longer I mean of course over 6 months – 1 year. 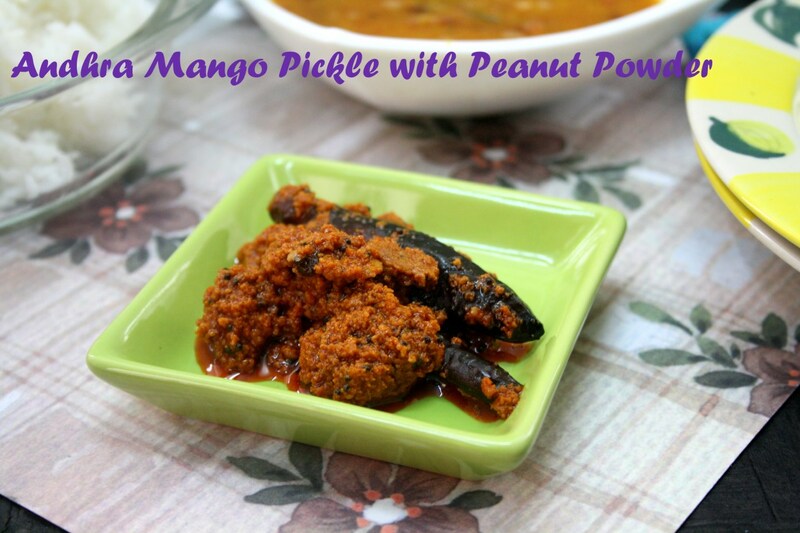 Today’s pickle is a peanut mango pickle, even though you may not actually find the peanut presence in the pickle. 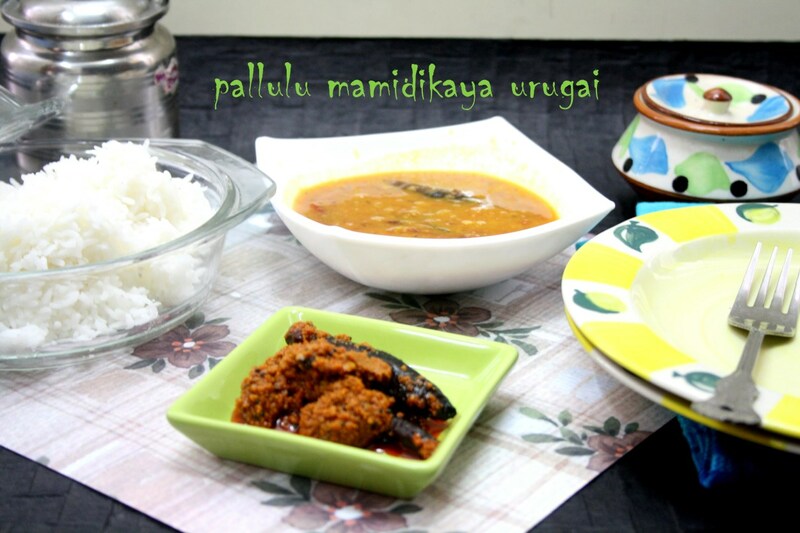 While in a typical Aavakaaya Urugai, we use mustard powder, in this recipe the whole mustard is tempered and added. If you do have not roasted peanuts, proceed to roast and skin the peanuts once cooled. Grind to a smooth powder while making sure you don’t grind it too much to extract oil out of it. Wash and wipe the Raw Mangoes and pat them dry. Allow to cool down and chop into 1 inch pieces, spread on a plate for it to be completely dry. 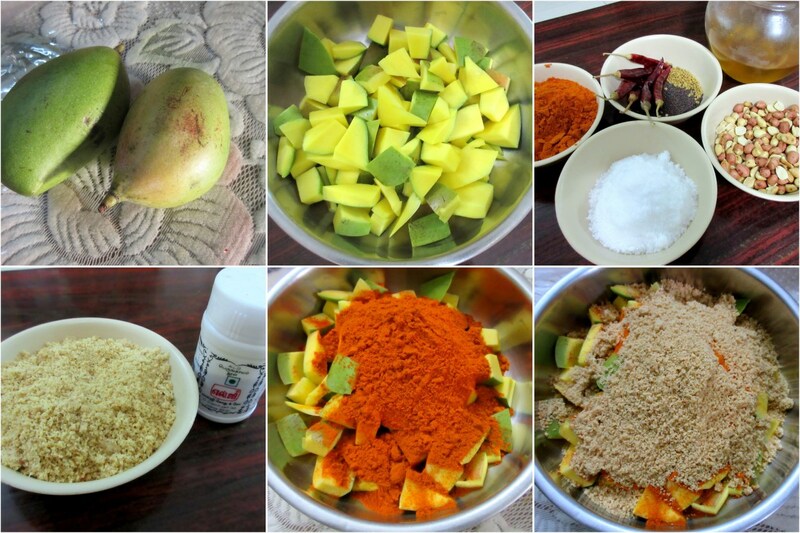 Take the mango pieces in a bowl, add the red chili powder, next peanut powder and salt. Mix using a dry spoon, covering all the mango pieces. Then heat a pan with the oil, when it is hot, add the chilies, mustard, methi seeds and hing. 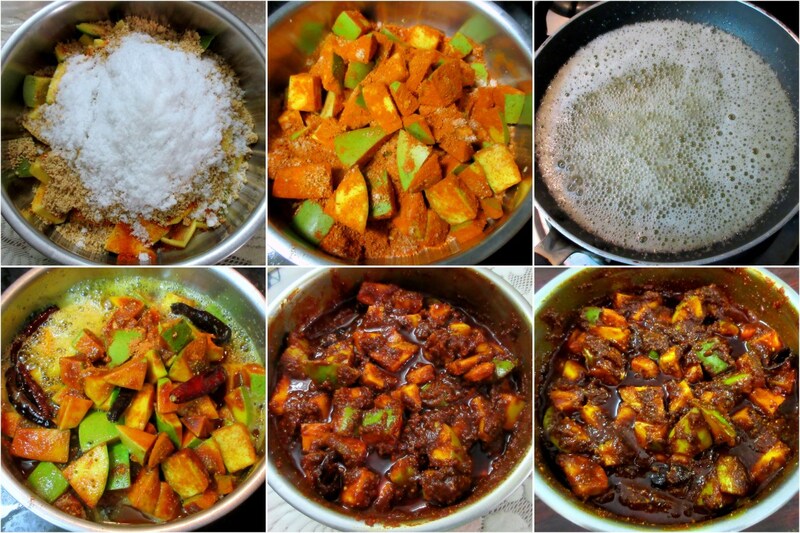 Saute it for couple of minutes, ensure the flame is low, then pour this hot oil mix on the mango pieces and mix well. Let it sit on the counter for a day or two. You can start consuming the pickle right away. However letting it soak in the ingredients makes it more aromatic. This pickle stays best when refrigerated. Ensure all spoons and vessels are dry when making the pickle. There is no need to put this under sun. Its enough when stored in room temperature while the pickle sets. I can always settle with just mango pickle & rice for any meal. Addition of peanut is interesting. Looks spicy and mouthwatering. The Andhra pickles are absolutely finger licking..love the color and the spices going in there. 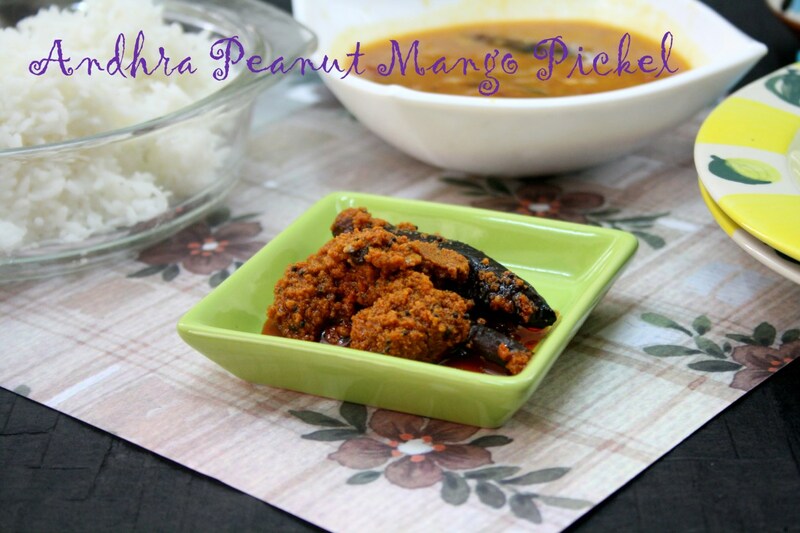 I love andhra pickles.Addition of peanuts sounds so delicious. Wow never tried mango pickle with peanuts. Will give it a try. 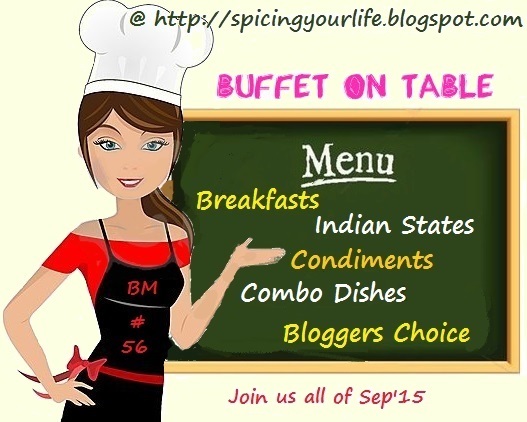 mouth watering..
Slurp slurp, nothing can beat the Andhra style pickle, lipsmacking here.. Addition of peanut is interesting.Would love to try this & taste. Andhra pickles are spicy and delicious. Wow, what an amazing chutney Valli. Never tried mango and peanuts in a pchadi before. Will have to look for raw mango to make it some time soon. Never have come across peanuts in a aavakaya recipe. Very Interesting one. Valli I want this pickle… Addition of peanuts is new to me. This pickle is very new to me! Will have to make this.Hubby will love this on for sure!